It seemed fitting that, for the final Breakfast Club of the year we invited along a few special guests as a treat to you, our loyal Breakfast Clubbers. 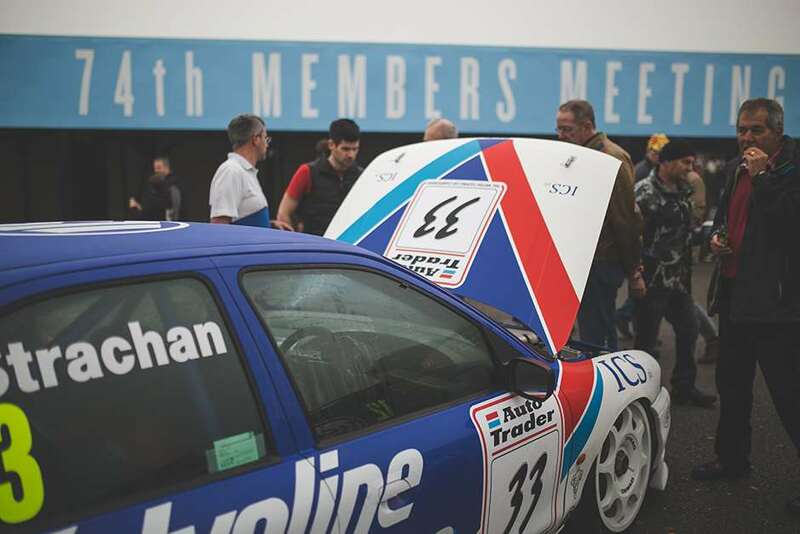 Patrick Watts’ Peugeot 406 and Alan Strachan’s ex-Andy Rouse Ford Mondeo joined us from the world of Super Tourers and next to them stood proudly Paul Knapfield’s gorgeous Ferrari 512M. 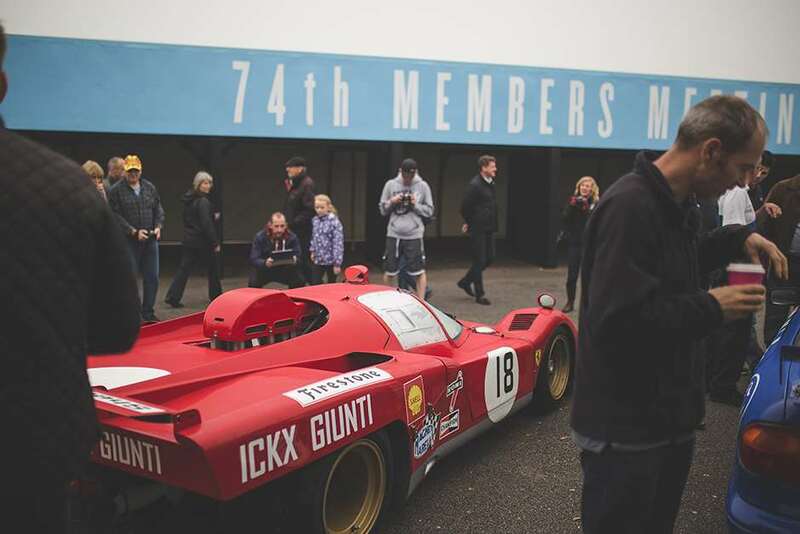 At the 74th Members’ Meeting in March you’ll be able to see the Ferrari take part in a high speed demonstration along with a field of similar Group 5 Sports Cars (think Porsche 917, Lola T70 Mk3 Bs …) which promises to be a bit special, while the Super Touring Car demonstration will revive a field of Nineties tin-tops. Not bad, eh? Top billing, however, must be reserved for the ground effect Formula One cars which nestled inside the pavilion itself. There we had the pleasure of displaying Neil Glover’s ex-Marc Surer Arrows A5 and the ex-Mario Andretti Lotus 79 belonging to Classic Team Lotus. Again, both will be joining a grid of ground effect cars at 74MM for a high speed demonstration. So to celebrate this year’s Breakfast Club season, Andretti’s Championship-winning 1978 season and next year’s 74th Members’ Meeting, we thought we’d share some footage of the rapid Italian-American in practice for the Swedish Grand Prix at Anderstorp. It’s far from flat-out, truth be told, but it does show off the wonderful sound of a Cosworth DFV as well as Anderstorp’s challenging tight and narrow nature. Come next March, you’ll be able to see it yourself at 74MM.